The bolder opal is found in South Western and Central Queensland, this beautiful variety of Opal is similar in appearance to Black Opal and forms naturally within ironstone “Boulder” which is cut to form part of the gem stone. The first opals were found in Lightning Ridge in 1887. The area is so called because of its vast iron ore deposits which act as a magnet to thunderbolts during stormy weather. John Wheeler’s story as a prospector really took off when he found the richest seam of Black Opal ever found in Lightning Ridge. The stones display a deep and intense array of vibrant colours. Opals have their own place in the history of England with Queen Victoria making them popular by wearing them and giving them as presents to her children to boost the mining industry in her new colony. Indeed Her Majesty Queen Elizabeth II was herself presented with a black opal necklace on her wedding day by the people of Queensland, Australia. Furthermore, opal is the birthstone for October! Good luck is thought to be assured to all those giving and receiving black opals and who couldn’t benefit from a bit of luck? This is Leisha’s number 2. Weighing an amazing 28.00 carats it is set in 187 carat yellow gold. Leisha’s signature adorns the side mount as all her signature jewellery does. 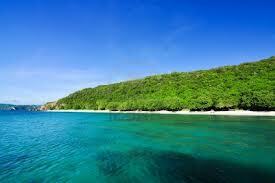 The stunning colours of azure blue and deep sea green are reminiscent of the beautiful Australian waters. 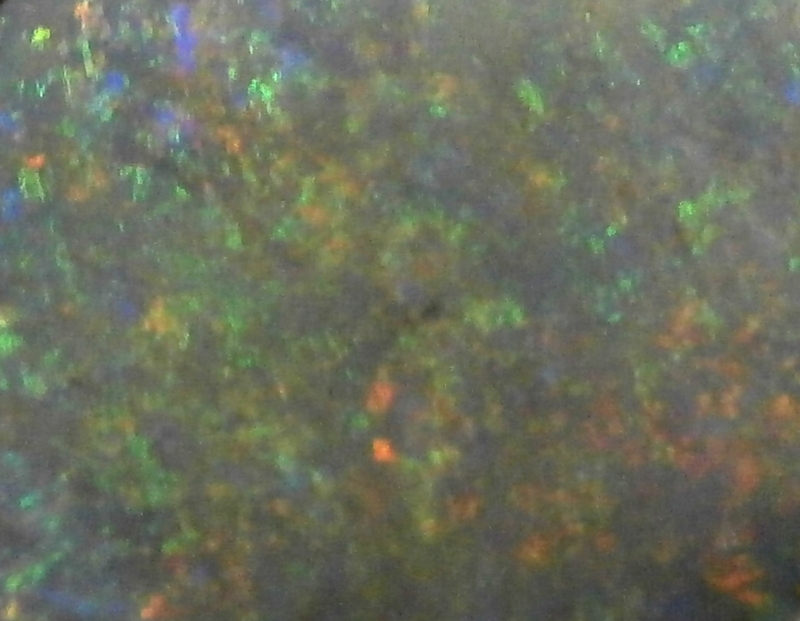 A gem quality boulder opal, the ironstone seen quite clearly on the reverse of the stone. Payne and Son Jewellers invite you to our next Opal Exhibition – From Thursday 26th to Saturday 28th September 2013 you are invited to come and view over 400 loose opals and opal set jewellery. Meet John Wheeler from Lightning Ridge in New South Wales who will be happy to tell you all about his exploits as a miner, and will dispel all those untruths, myths and bad luck stories that opals have gained over the years. We will also have a range of “Leisha Designs” – opal set jewellery in stock for your viewing and buying pleasure. We still have an amazing selection of opals in stock for your enjoyment, so please do come along and ask to see them. The Black Opal Called Monet………….. This stunning black opal from Lightning Ridge in New South Wales, is called “black” because of the host rock it is attached to. 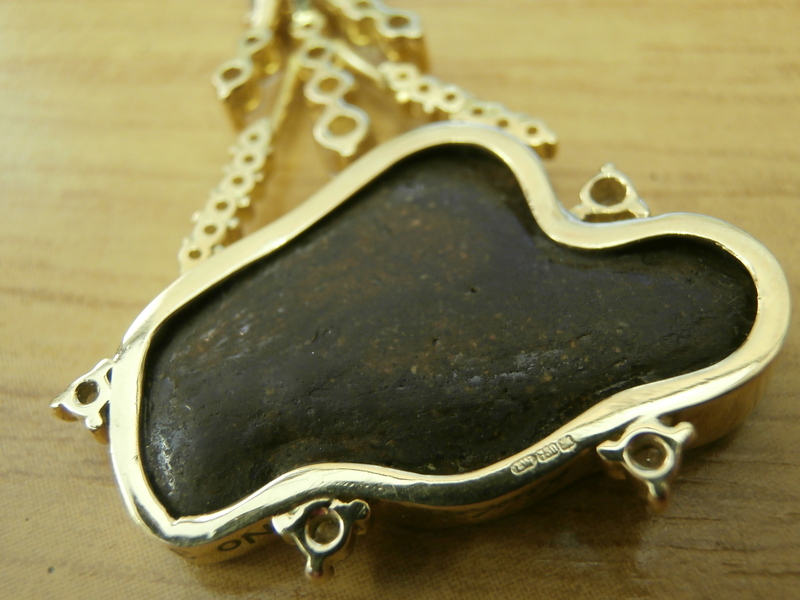 You will see from the images below when we take a look at the reverse side of the stone a dark grey opaque back. Weighing an incredible 46 carats and measuring approximately 30mm x 22mm, this black opal has a whole menagerie of dancing colours. Just in front of me now I can clearly see greens, oranges, reds, blues, purples, yellows and so much more. To appreciate the full extent of the colour play – take it into sunlight. Designed by Leisha, this opal is set on an 18 carat yellow gold rub over setting. Three diamonds adorn the mount, and along the side, Leisha’s signature dances next to a very proud looking No. 1 – truly a one-off piece. It is no wonder Leisha calls this work of art “Monet”. Water Lilies is a series of approximately 250 oil paintings by French Impressionist Claude Monet (1840–1926). The paintings depict Monet’s flower garden at Giverny and were the main focus of Monet’s artistic production during the last thirty years of his life. 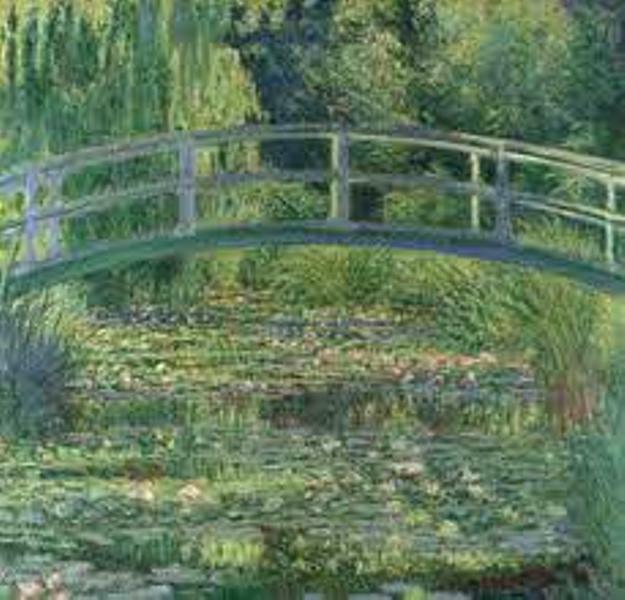 Many of the works were painted while Monet suffered from cataracts. The paintings are on display at museums all over the world, including the Musée Marmottan Monet and the musée d’Orsay in Paris. During the 1920s, the state of France built a pair of oval rooms at the Musée de l’Orangerie as a permanent home for eight water lily murals by Monet. The exhibit opened to the public on 16 May 1927, a few months after Monet’s death. Sixty water lily paintings from around the world were assembled for a special exhibition at the Musée de l’Orangerie in 1999. This precious opal is on display with us until the summer. We have quite a collection of opals in store with us for a limited time, so if you tempted to have a Monet in your home please come along and see us before all these wonderful gem stones have to go home to Australia. All the opals are for sale, but browsers are most welcome, too. 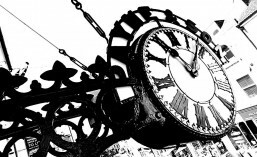 We are open Tuesday to Saturday from 9.30 am to 5.00pm. Preparations are abound for our exhibition next week. The cabinets are being dressed, the ads have been placed – all we need now are the stones! And they will be here next Tuesday 25th September and will be here all week to Saturday 29th. See our ads in SO Tunbridge Wells Magazine, and enter our competition to win a matching set of sterling silver opal set earrings and pendant – just send me your details jo@payneandson.com or fill in the form in the magazine and drop it in to us during the week of the exhibition. 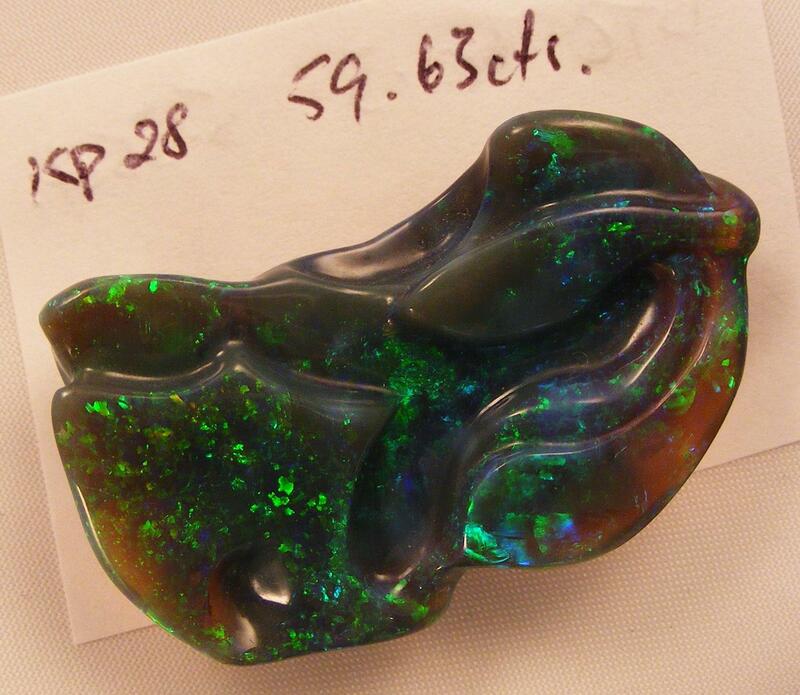 Opals take over 70 million years to form. The first Lightning Ridge opal was found in 1887. 95% of the world’s opals come from Australia. Good luck is thought to be bestowed on the giver and the receiver of an opal. No two opals are the same. Opals were Queen Victoria’s favourite gem stone. 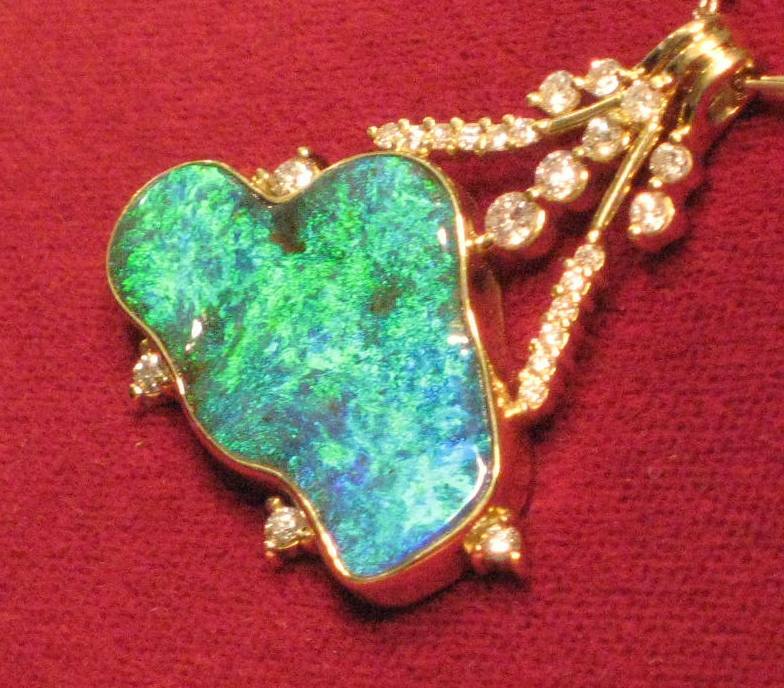 Opals are the birthstone for October. Black opals are the most valuable. Opals are the national gem stone of Australia. 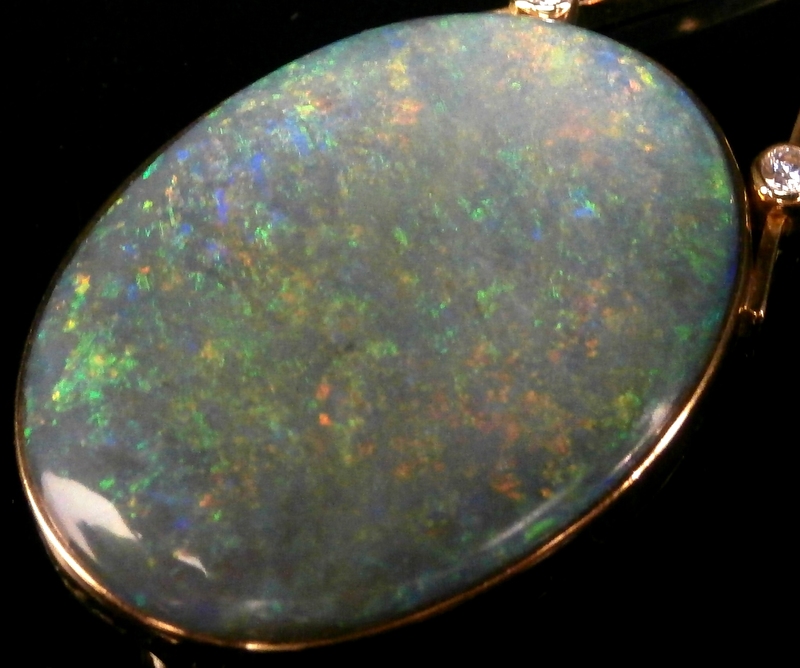 There are three types of opal: black, white and boulder opals. Collectible patterns include harlequin, pinfire, tiger stripe and flash pattern. The value of an opal is determined by type, colour, brilliance, pattern and shape. Opals consist of tightly packed silica spheres. 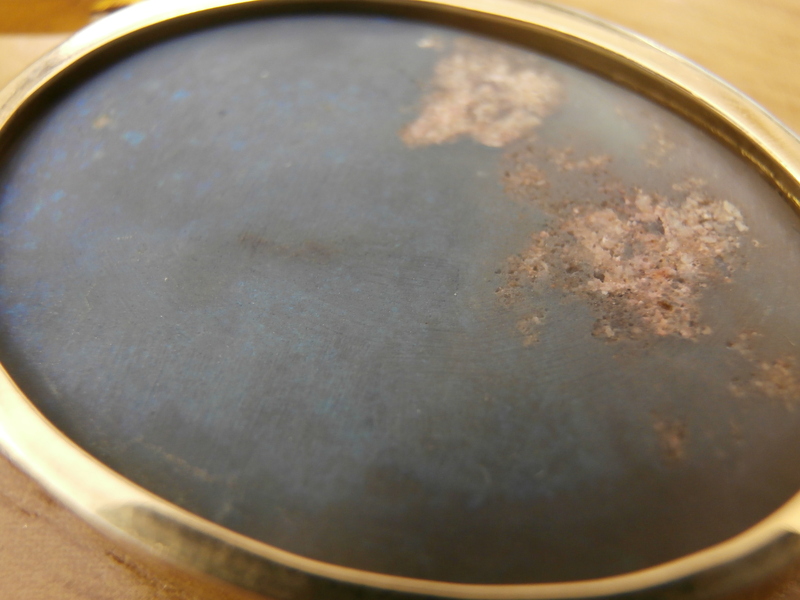 Opals contain 6-10% water and can crack or craze when subjected to harsh, dry conditions and rapid changes in temperature. Solid opals can be wet or soaked in water without causing problems. Doublets and triplets cannot. Opals can be polished if they lose their shine or become scratched. Treat all jewellery with respect – it will last you longer.